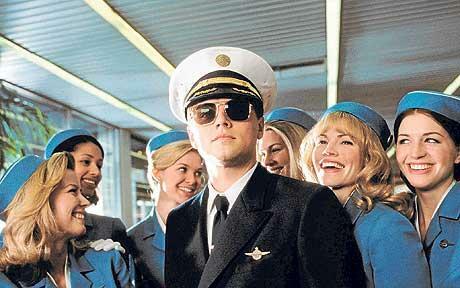 Frank Abagnale, Jr. (a real person), is perhaps better known as "The Guy Leonardo DiCaprio Plays in Catch Me if You Can." His 2000 autobiography is the inspiration for the movie, and his exploits in the book are, if anything, more audacious than those in the film. "confidence trickster, check forger, impostor, and escape artist. He became notorious in the 1960s for passing $2.5 million worth of meticulously forged checks across 26 countries over the course of five years, beginning when he was 16 years old. In the process, he claimed to have assumed no fewer than eight separate identities, impersonating an airline pilot, a doctor, a Bureau of Prisons agent, and a lawyer. He escaped from police custody twice (once from a taxiing airliner and once from a U.S. federal penitentiary), before he was 21 years old." One of the most audacious con-men (con-teenager?) 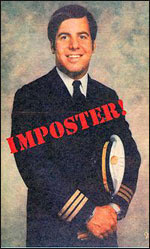 in American history, Abagnale flew for free on over 250 PanAm flights, impersonating a deadheading pilot. He forged a Columbia degree and taught sociology at BYU for a semester. He pretended to be a pediatrician at a Georgia hospital for almost a year. For another year, after forging a Harvard degree, he passed the Louisiana bar exam and worked in the Attorney General's office. All before he turned 21. For the purposes of this blog post, though, we're going to forget about the book for a moment, and, in fact, let's forget about the real guy altogether. In the film, the event that is alleged to have started Abagnale on his life of crime is the divorce of his parents, brought about by his father's financial ruin in the face of an IRS investigation. Abagnale believes that his mother leaves his father because of the family's financial woes, and that if their lifestyle can be restored, everything will be returned to normal. Huey Lewis would have called this "The Power of Love." He sang that "The power of love is a curious thing / Make a one man weep, make another man sing / Change a hawk to a little white dove / More than a feeling that's the power of love." In the movie's view, rather than changing a hawk to a little white dove, the power of love goes the other way: it changes a 16 year old Abagnale into one of the most wanted criminals in the world. "You see, at just the right time, when we were still powerless, Christ died for the ungodly. Very rarely will anyone die for a righteous person, though for a good person someone might possibly dare to die. 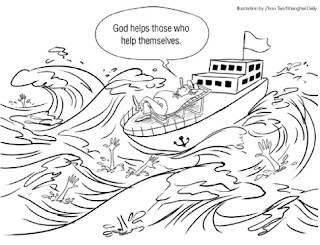 But God demonstrates his own love for us in this: While we were still sinners, Christ died for us" (Romans 5:6-8).